Govert Bijwaard is Senior Researcher at Netherlands Interdisciplinary Demographic Institute (NIDI). 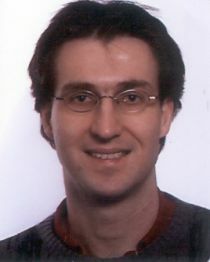 After his education in econometrics at Groningen University, the Netherlands, and Brown University (RI) he got his PhD from the Free university Amsterdam (Tinbergen Institute), he worked for applied economic research institutes for five year and returned to academics at the economics department at the Erasmus University Rotterdam, and later moved to NIDI. He is a Research Fellow of the Institute for the Study of Labor (IZA) in Bonn. His worked has appeared in journals such as the Review of Economics and Statistics, the Journal of Econometrics, the Journal of Development Economics, the Journal of Population Economics, the Journal of Business & Economic Statistics, and Population Studies. Govert Bijwaard joined CReAM as an External Research Fellow in March 2014.